It’s easy to get caught up in the school whirlwind, so I’m taking time to reflect on what I love about fall. Cool days, cozy nights by the fire, lots of hot chocolate, big, comfy throw blankets, chunky knits, and rich/warm hues are some of my favorite parts of the season. Here are four things I’m loving right now. By now you’ve heard me talk about all the time and turmoil that goes into getting dressed each day. For me, this is a painful process. I prefer to shop for chandeliers, not shirts, so I’ve let my wardrobe go a bit unattended. This turns into extra time each morning, futilely trying to figure out the right mix for the day ahead. Until I put this into the hands of a professional. Two sessions with stylist Cynethia Ali of Raid Your Closet and we cleared my closet of anything unflattering or worn out, and started adding pieces that elevate and broaden my personal style. I’m not getting her style, I’m getting my style, just pulled together by an experienced professional. I recently had Cynethia back over with the goal of finding me a work uniform. That’s right. I want zero thinking necessary when getting dressed each day because I’m at that point in my life where I need to take some of the decision making down a notch. The perfect pair of pants and the perfect top times five, so I can accessorize and continue. I chose Theory’s Trecca straight-leg pant as the foundation to Sandra’s work uniform for its simplicity, tailoring, and contemporary fit. The ankle length provides a slimming effect and elongates the body. The straight leg pairs well with any type of shoe—from pumps, to sandals, to booties, to flats. 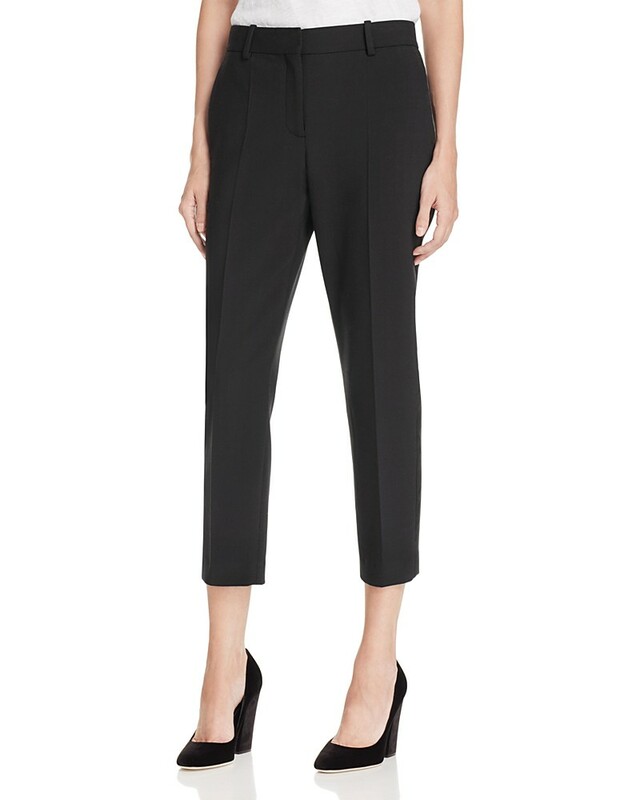 This pant is a classic everyday staple for any wardrobe and can be worn with practically all tops. We styled it with a soft, yet sleek, blouse and a buttery leather jacket. The overall look is simple, but classy and elegant, exactly the right fashion note to hit for the office. I’m setting the mood for fall with this earthy, warm scent. 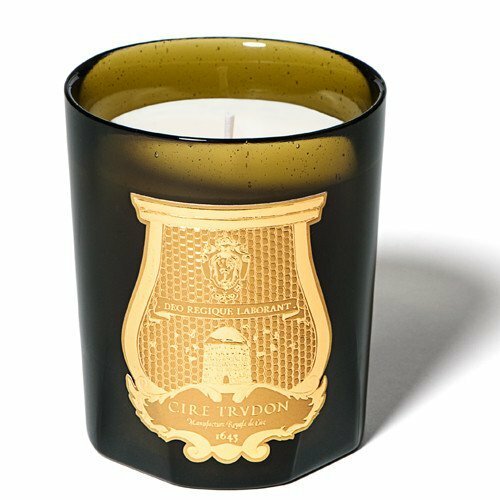 Empire Candle 9.5 oz by Cire Trudon features notes of pine, sage, rosemary, and lavender. The right combo of calming-meets-refreshing. This French brand is the oldest candlemaker in the world. Their attention to detail is impressive, and you can’t go wrong with any of their scents. My family and I are still unpacking boxes from our move, but I’m starting to see the light at the end of the tunnel. 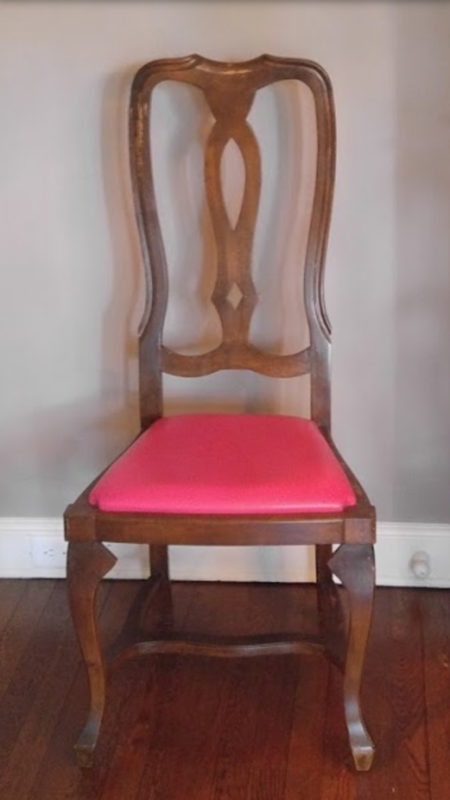 I can’t wait to share the before and after of my dining room chairs with you. 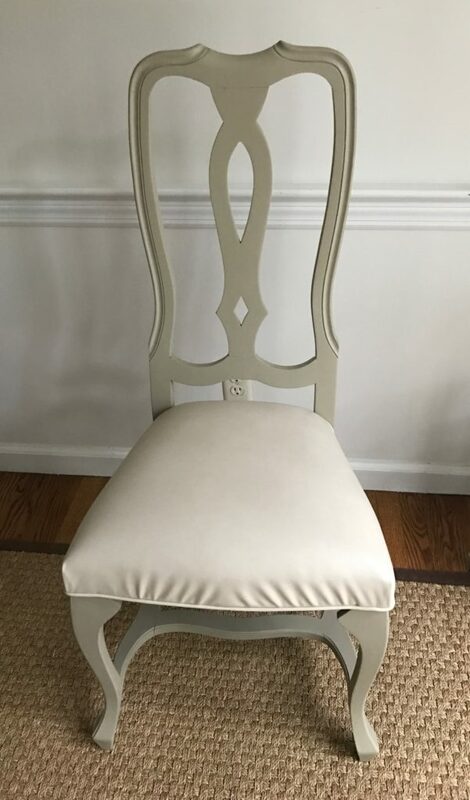 I’m having them reupholstered in this chic ivory faux-leather by Kravet, and having the wood frames painted in Benjamin Moore’s Berkshire Beige. It’s going to be gor-geous! 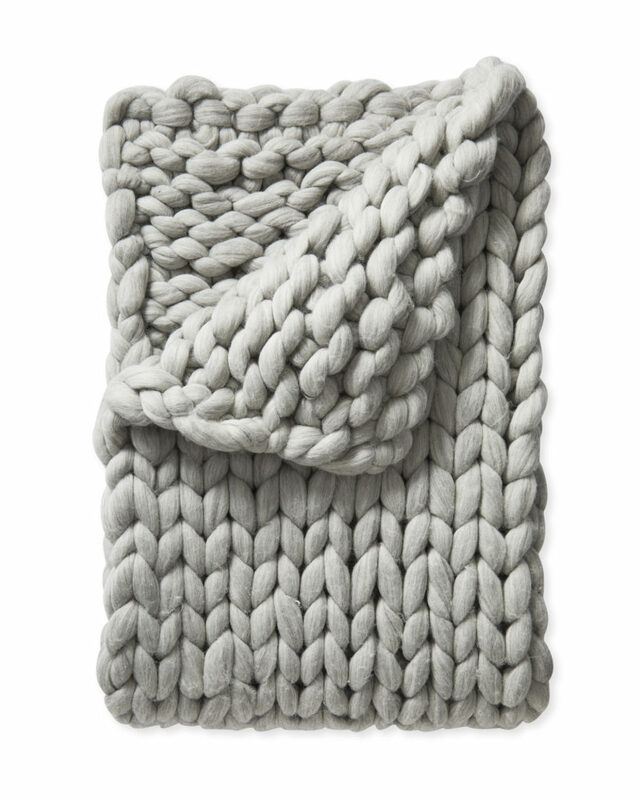 Chunky throws are always a good idea once temperatures start to drop. 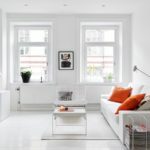 They add a ton of texture to a bed or sofa, and a neutral color like this Heathered gray will take you far. My girls and I like curling up under a thick wool throw on weekend nights, a good book in hand…or popcorn if we can agree on a movie.